PAWTUCKET, R.I. — Hasbro, in a press release today, announced Monopoly II: Aftermath, a direct sequel to iconic board game Monopoly and the most significant release in the Monopoly universe since the series’ debut in 1935. 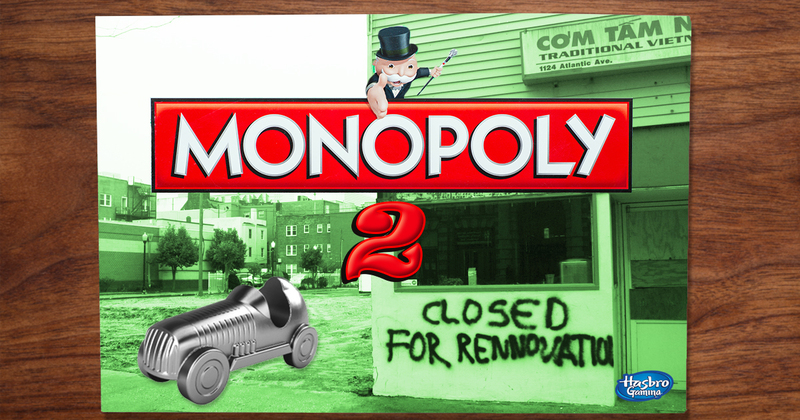 Monopoly II: Aftermath will be set in a near-future Atlantic City ravaged by climate change, state violence and the actions of the monopolistic landlords portrayed as heroes in the original Monopoly. The familiar pieces of the thimble, dog, and race car are back and ready to fight to survive a new age of feudalism brought by capitalism’s logical conclusion. Players running low on this currency can obtain some by driving for a ride sharing service or by selling their plasma to a tech startup’s CEO. Monopoly II will come out later this year in what many analysts are predicting will be a new sequel-driven strategy from Hasbro. Rumors are already circulating of a Scrabble 2, which adds emojis to the mix.